If we draw a food specialty map of the world most people today would agree that in Indian subcontinent in particular Bengal region excels in the taste and variety of milk-based sweets based on Chhana (ricotta cheese). Food historian K. T. Achaya discussed about the Aryan taboo on cutting milk with acid because milk was one of the important part of the ritual and diet of people of India. Milk is the purest of edibles nutritive, agreeable, and conducive to serenity and spirituality. The taboo was a deliberate and invasive change to the nature of milk because they believe it is the most important item offered to the god. Milk is an ultimate desire of Indian vegetarian people who follows rites and rituals for their way of life. 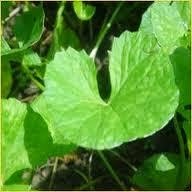 It has a powerful symbolic value of a comfortable life. They were used to make butter [মাখন], ghee [ঘি], kheer [ক্ষীর], yogurt [দই], milk rice pudding [পায়েস] and various other sweetmeats with milk or condensed milk, but never curdled milk. Nonetheless, Bengali people first invented a big list of sweet only with the use of Chaana [ছানা] or cottage cheese at the time when Portuguese community was established in Bengal, they ate cottage cheese, which they used to make by breaking milk with acidic materials and this routine technique may have lifted the Aryan taboo of Bengali confectioner [moyra ময়রা] on deliberately curdling the milk, which gave the traditional Bengali sweet makers a new raw material of making a skilful art of sweet dumplings soaked in sweet syrup rosogolla [রসগোল্লা] besides Kheer a item made by solidified milk to store the milk longer or sweets made during the mutation process milk - Sor [সর]. Many folklores, myths, and fascinating details of admirer of the Bengali sweets are easily findable in literatures as well as digitally. Next to rosogolla, sandesh is best known as the representative sweet from Bengal. The term "Sandesh" also meant news. 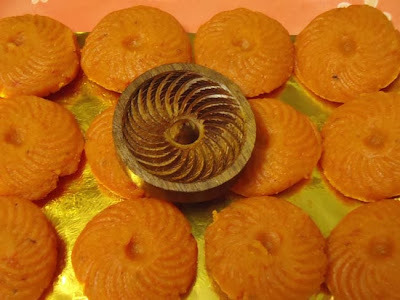 Bengalis developed the custom of carrying some sandesh with them whenever they visited someone and the sweet therefore became the perfect offering for someone who comes bearing news and it is offered in getting and informing the good news. Sweet making is one of the basic instincts in Bengalis because of their sweet tooth. 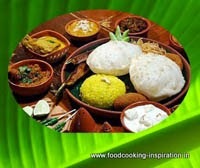 In every household Bengali elaborate meals used to end with sweets and that is why every house would find an occasion easily to make sweets at home. I usually make this Carrot Sandesh for my kids in every winter. The desperate desire of making sweets and feeding others with minimum sweetener and natural color. I was creative and encouraged by my fascinating mood. 1. Mix ghee and a pinch of salt with grated carrot and toss carefully for a minute or two on a hot pan. It will change the color of grated carrots slightly. 3. Put the sugar and nutmeg dust on a heavy-bottomed pan on a slow-fire and wait until sugar form a thick liquid. 4. Add carrot and ricotta cheese paste and stir continuously with a wooden ladle. Slowly the whole thing will be thickened to a consistency that coats the ladle and would not drips sweets off. 5. Wait until it cools slightly. Now take a mould , rub some ghee with your finger, make 8 portion from the sweets, take a portion and make a round ball and press the sweet ball on the mould evenly. Make one by one until done. Serve your narom-pak sandesh [less cooking soft sweets] with a smile.